Lately I've really been loving making our own play dough and gak. 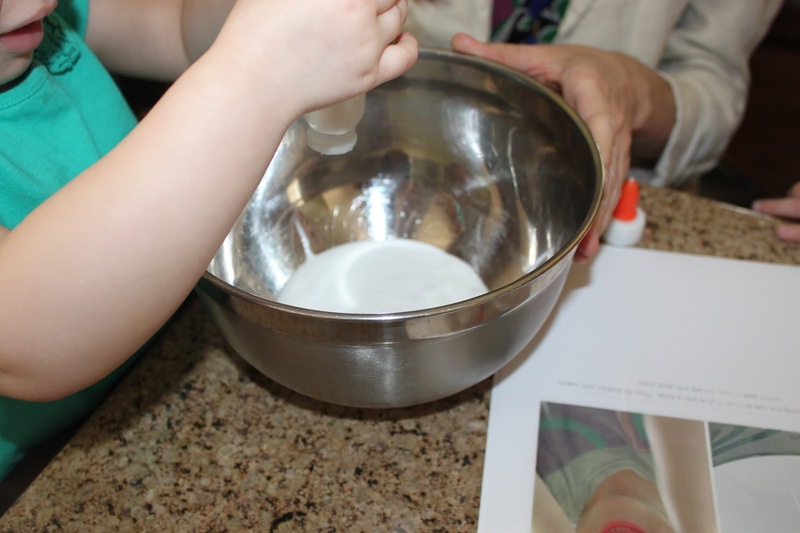 (see homemade play dough recipe here.) The kids have so much fun with it and I think it last longer and is more cost effective then buying it at the store. 1. Empty the glue into a bowl. 2. Fill each empty glue bottle with warm water and shake it up then pour/squirk warm water from the glue bottle into the bowl. 3. Add some food coloring. (My kids tried for purple but the bean put like 10 drops of blue in. There is clearly no science to making the right color! ;) SET ASIDE. 4. Add 1/2 cup warm water to your cup. Add 1 tsp. 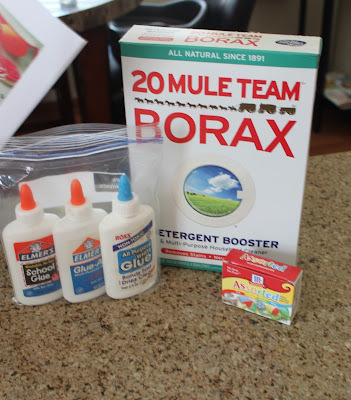 borax to the water and mix until borax dissolves. Pour into your glue bowl and stirring. 5. Use your hands. It should start to get stringy, keep squishing around. You will notice after a few minutes that it has become pretty gelatinous. This is one of my kids favorites. It smells like glue, but it's not terrible. 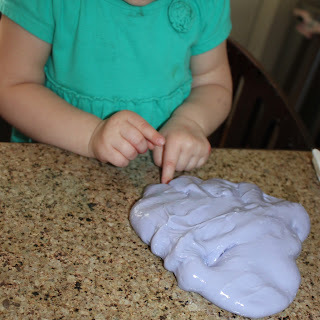 It's really fun to play with and the kids use all the same play doh tools with it. Hope you and your family enjoy!